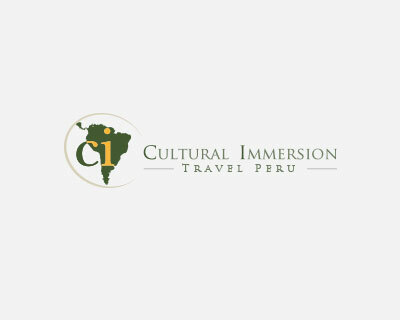 Travel with Cultural Immersion and you will do much more than just visit the most important sites of Peru. Besides offering trips to Machu Picchu, Lake Titicaca or the Colca Canyon, we will take you to the most interesting and off the beaten track locations to experience the real Peru! Have a unique cultural adventure at local communities and take part in their everyday life. Profit from the freedom of being in a totally private tour and spend as much time as desired in your favorite places. Make your vacation a journey of a life-time and create your dream itinerary. All our tours are a 100% customizable and can start on any date. To make your trip a more active adventure, hike the Inca Trail, go kayaking in the Sacred Valley or taste the most delicious dishes during your cooking class in Cusco. No matter if you are searching for a luxurious tour or an economic option, please do not hesitate to contact us, our expert travel advisors will always be happy to help you. Our goal is to provide the experience that best suits your interests. Visit the most interesting and off the beaten track locations to experience the real Peru! Have a unique cultural adventure at local communities and take part in their everyday life. Profit from the freedom of being in a totally private tour and spend as much time as desired in your favorite places. We specialize in private adventures for independent travelers interested in unique experiences. You may modify any of our packages to better fit you. Our goal is to provide the experience that best suits your interests. All of our packages may start on any day, in order to fit to your schedule. From the first e-mail you write us until you board your plane to return home, we will all be working to make of your trip the best experience possible. We offer you 24 hours assistance, always a prompt response and a full staff completely proficient in English. Ten years of experience back us up, as well as our extensive inside knowledge which will guarantee you a once in a lifetime experience far beyond your expectations. Let us show you the real Perú, not the Peru for tourists. Travel with a local Peruvian tour operator and help us preserve local communities and the environment. Keep your footprint small and support the local development. Absolutely Wonderful Tour Company With Incredible Tour Guides! We wanted to say thank you so much for organising such an incredible holiday. Truly it is the best we I have ever had by far! From start to finish everything was organised to perfection and everything we did throughout the entire trip was just fantastic. We could not fault a single thing and we really did experience the holiday of a life time in Peru. All our questions about the culture and history of the country were answered with confidence and enthusiasm throughout by the tour guides and we could not be more grateful for that. We decided to use Cultural Immersion for a week trip to Peru. I worked with Brian exchanging emails back and forth. They were very accommodating adjusting hotels etc basing on my wishes and price points. They also set us up for a trip to the amazon with Posadas Amazones which was an really awesome experience. Overall, I think this is a very good company to work with and is responsive to their traveler's needs. Our family of 4 set out for this adventure day starting in Chincero with biking on good cross country bikes (and helmets) on gravel back roads. We biked for 16 km till we reached the lake where we kayaked for an hour. We found this a bit boring, so we then had lunch (delicious) by the lake and drove into town to start our walk to the salt lakes of Moray. Easy down hill walk to these amazing mines which kids loved. Then bus back to Cusco. It was well organised and we could go at our own pace. Altitude was higher than Cusco which proved a challenge on the bikes! but a good exercise day before starting Inca trail. CI planned out entire 16 day visit and did an outstanding job. They planned it just for the two of us and the service was incredible. We had a driver and a guide, where other companies would give just one person. Large, comfortable vehicles. When the schedule said we would have a picnic, I expected a blanket and sandwiches. Instead the driver and guide set up a table, white table cloth, and china and gourmet good in the middle of a field. Magical. The kayaking trip required much coordination as the kayaks on a trailer had to be fitted onto our van. But CI makes things happen so well. The guides were wonderful and we learned so much. I definitely recommend this company. You could not do better.